You can see the format in the dimension ø7.9 - 8.1. 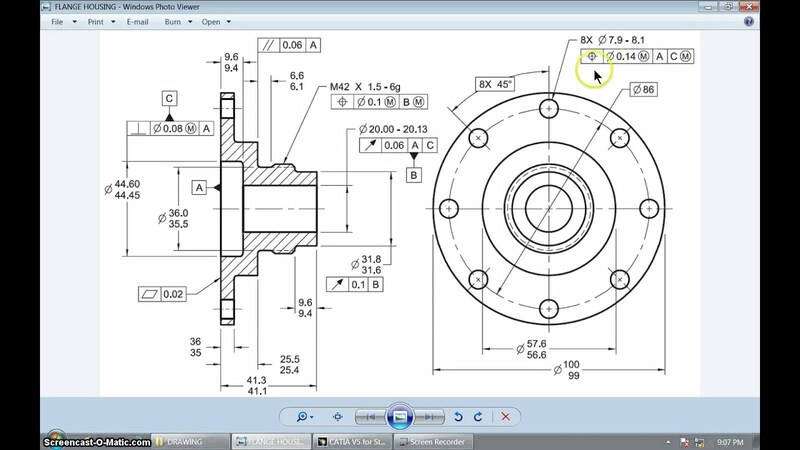 Is there any way I can simulate this style in solidworks, without writing it all out manually?? in my opinion your preference should align with the latest standard in place, not what you think looks nice. now, obviously everyone has different levels of quality they are looking for and sometimes a quick and dirty print is all that is needed. So that being said, why not just use the override option and write it in there? I agree, in a professional scenario my personal preference shouldn't matter. But since i'm not dealing with such scenario, I have the option to use a standard that suits me better. Overriding the dimensions and writing it down would takes too long, that's why i'm asking if there's a way to change the default styling. Besides preference, why would one want to do that? One reason could be to save space in a crowded drawing. The over-under standard often takes up too much space by forcing dimensions to be further apart. Overwriting any dimension is a capital crime here.. It will come back to haunt you later.. See..
Yep, that's something I don't want to do, it's time consuming and the source of multiple errors. I tried a few things and I can't get it to look that way by aby default. Sorry...but I don't think that it is possible without doing it manually. Yeah, I've been messing around with settings and nothing seems to work. I think overwriting the dimension and linking the text to the model's dimensions value is the only way to keep the link and have the desired format.